Went to a charming 24-acre farm in Burnsville, NC. 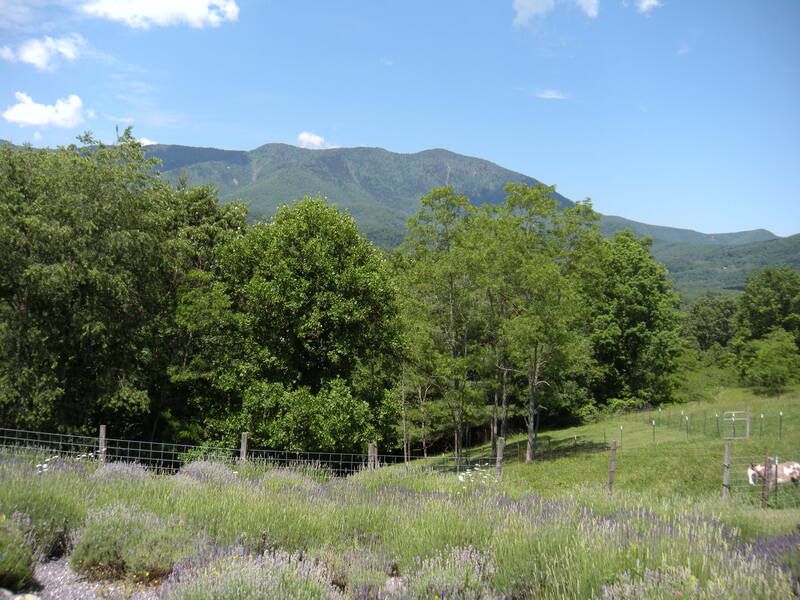 The Mountain Farm grows lavender and blueberries and raise dairy goats, llama and baby doll sheep along with miniature guard donkeys. The owners took over this farm 40-years ago with the idea of making it as sustainable as possible, pretty forward thinking for their time, eh? They also have two large wind turbines, installed for free by a state grant, that cuts their power bill in half! 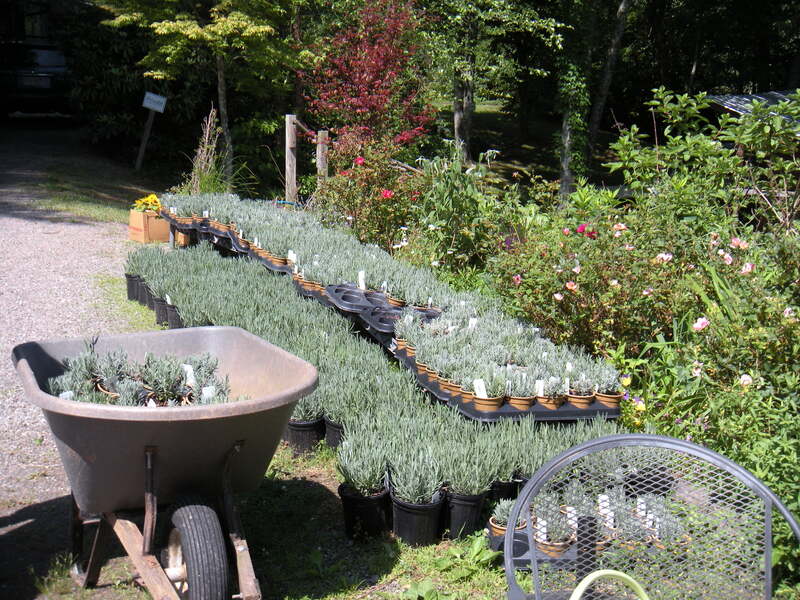 Growing many types of lavender, the Farm produces all sorts of wonderful high quality beauty products (balms, bath salts, lotions, soaps and shampoos) culinary products (lavender teas, sugars, salts, honey) and fiber products (dyed and un-dyed wools, and knitted hats and such). Doesn’t this just lure you in? One of the really neat features of this farm is they’ve created a 7-level labyrinth of lavender (say that 3 times!) Different from a maze, there is no puzzle to getting into or out of a labyrinth; there is only one way in to the center and one way out – it is more of a meditative exercise than a mental exercise. Which brings me to why I’m blogging about this. I’ve grown lavender for a long time and used it in many crafty-kinds of ways, yet I’ve never used it in cooking. 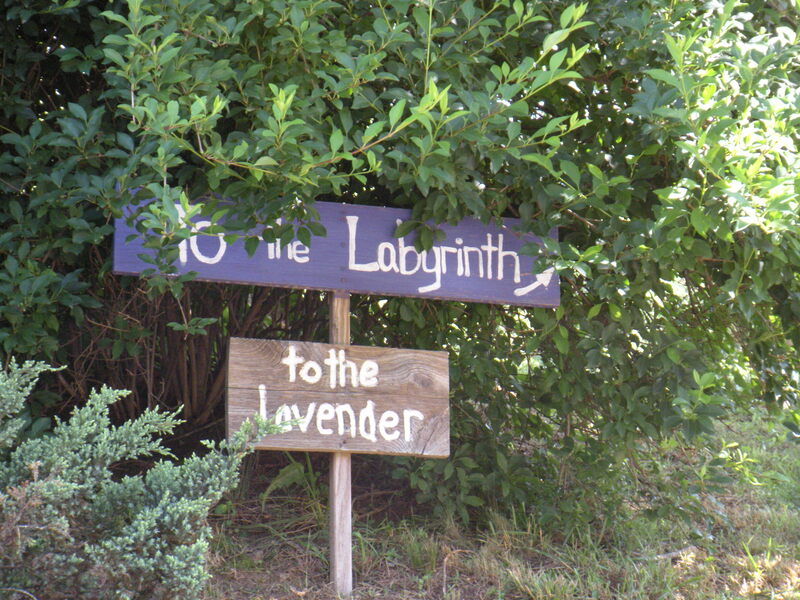 Now, since coming back from the farm, I’ve googled all sorts on interesting recipes using lavender. Basically, you can substitute lavender for rosemary in most any savory dish. I found recipes for adding lavender to desserts from chocolate cake to cookies and creme brulee (wow!) as well as for making lavender salts and sugars. 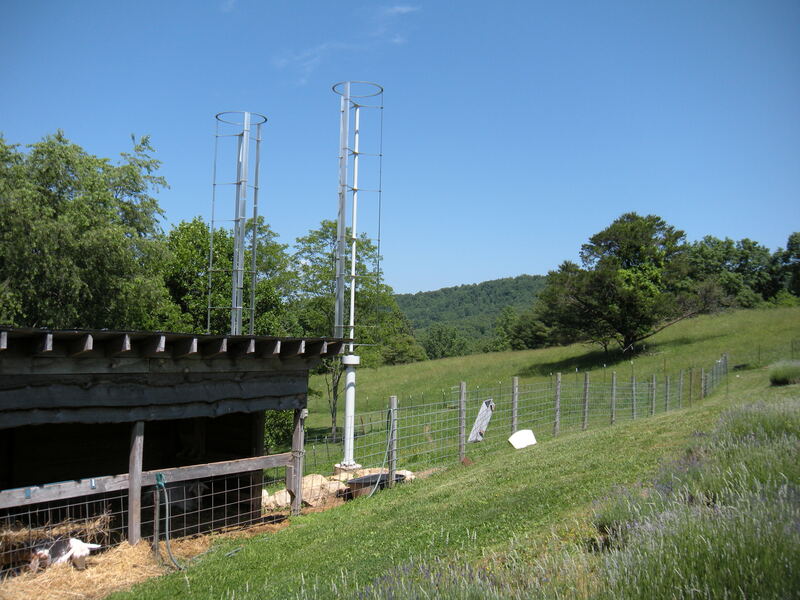 Wind turbines cut the farm’s power bill a little more than half and are practically silent in operation so as not to disturb the animals in the barn. I bought a lavender tea sampler: Love Potion, Lavender Chai, Lavender, Mint & Hibiscus and Lavender, Chamomile & Mint. The Lavender Chai this morning was really good and the whole kitchen smelled heavenly! I like my teas to have strong flavor, especially in the morning, as well as a nice aroma and this tasted really good, very earthy but not at all bitter. This experience just reminds me of how many things we grow are good for us and can add an extra dimension of flavor keeping us engaged and keeping eating healthy from being boring! So now that my own lavender is in bloom, I’m going to try it in all sorts of dishes – don’t be surprised to find a new recipe with lavender in my Regular but Awesome Recipes soon!